Microsoft has been given a tentative green light by the European Commission to move forward with its still controversial browser bundling plan in Europe. Microsoft's original reaction to the EC's investigation into browser bundling was to announce a European version of Windows 7 which would ship with no browsers at all. However, after lengthy talks, this was changed to a ballot page allowing you to choose a browser – something which rivals suggested did not go far enough. However, Microsoft has now been given the go ahead to "move forward with formal market testing" of its ballot page. "The improvements that Microsoft has made to its proposal since July would ensure that consumers could make a free and fully informed choice of web browser. Microsoft has in particular agreed to present users with a first screen explaining what web browsers are," said the EC's statement. "The Commission's preliminary view is that Microsoft's commitments would address these competition concerns and is market testing Microsoft's proposal in light of these requirements." Microsoft is understandably pleased with the decision, which effectively allows it to move its plans on in Europe. "We welcome today's announcement by the European Commission to move forward with formal market testing of Microsoft's proposal relating to web browser choice in Europe," said Microsoft's General Counsel Brad Smith. "We also welcome the opportunity to take the next step in the process regarding our proposal to promote interoperability with a broad range of our products." It's a big moment for Microsoft, who have been accused of years of benefiting from shipping IE with Windows. 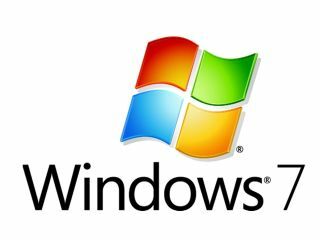 The row over browsers in Windows 7 has been going on for a huge amount of time, and on occasions threatened to put a dark cloud over the release of the OS. However, with a matter of weeks left until the October global release of Windows 7, Microsoft appears to have been shown the path that the EC believes is fair to consumers and rivals alike.